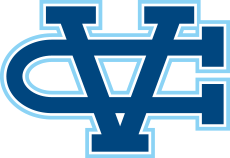 San Jose, CA - Valley Christian rewrote the record books Wednesday as the team took on WCAL opponent Saint Ignatius in Warrior Stadium. The boys 4 x 100 team of D'Angelo McKenzie, Charlie Bostic, Javon Sturns and Nick Trofort set the tone for the day blazing a CCS leading and season best 42.42. That time is currently ranked #11 in the State. The momentum carried throughout the day as Nick Trofort moves to #7 all-time in the 100 meters, cracking the 11 second mark for the first time, winning the event in 10.93. Trofort is ranked #4 in CCS. Charlie Bostic blazed the 200 meters in 22.08 and to #5 in school history. Bostic's run is currently the top time in CCS for the event. Girls sprints had an outstanding day of their own. Nina Berry ran a personal best 13.11 in the 100 meters. Fallon Dexheimer ran an outstanding personal best of 27.10 in the 200 meters. Skye Scott matched her personal best running 27.85. Caitlyn Rowland ran two personal bests in the 400 and 300 hurdles. Max Moore remains undefeated in WCAL action winning the discus in 144-4. His winning throw is a season best that moves him to #7 in CCS rankings. Sophomore Skylar Loving-Black joined the track & Field team just a couple of weeks ago and has already made his mark on the record books clearing 6-0 for the first time this season and a big personal best. Just nicking his attempt at 6-2, Loving-Black is the #3 sophomore in the section. Jonathan Sum was a double winner, finishing first in 110 hurdles and the Long Jump. Girls 4 x 100 team ran a season best in both relays: 4x100 (51.44) & 4x400 (4:15.01). Eight girls have run in the "13's" this season for 100 meters. Twelve boys in the "11's". Katelyn Stone won the 800 meters in 2:32, Ashley Clayton won the 1600 in 5:40, both in personal best times. Jordan Hahn won the 3200 running 13:02. Camille Johnson moves to #9 on the all-time list with a personal best 32-9.